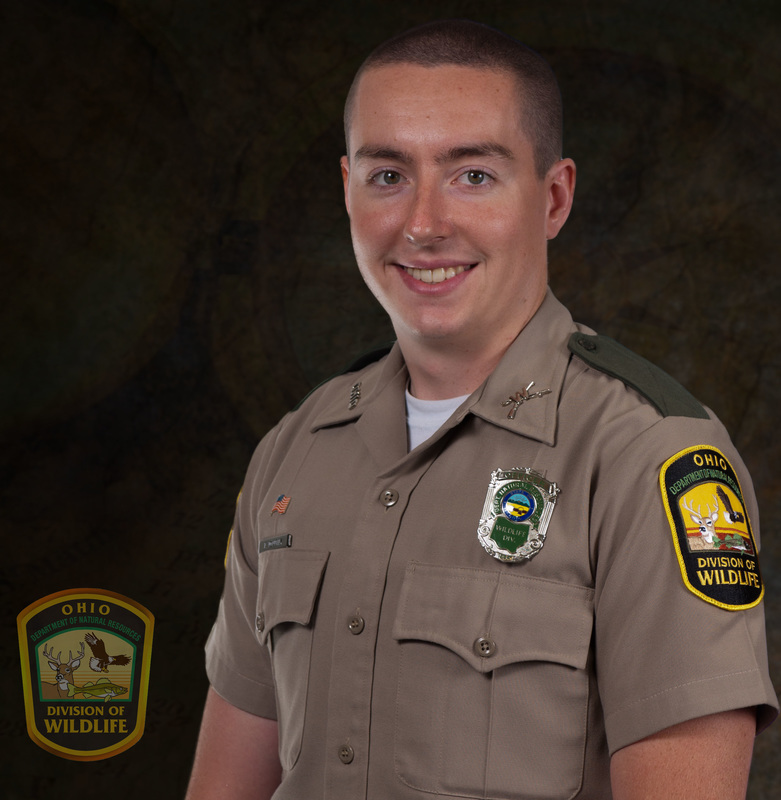 Officer Donnelly is one of 16 new wildlife officer cadets who have been undergoing extensive training and were sworn in as commissioned state wildlife officers during ceremonies July 3rd in Columbus. He began his new duties the following day. Following completion of the seventeen-week Ohio Peace Officer Basic Training course May 9th, the cadets had eight weeks of specialized wildlife officer training by the Division of Wildlife. In addition to wildlife law enforcement procedures and agency policies, the cadets received training in areas of wildlife and fisheries management, communications, outdoor education, ATV operation, hunter safety, and advanced firearms and self-defense topics. 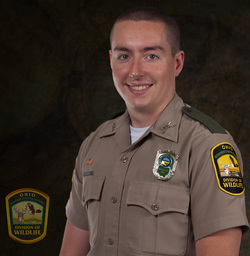 As a state wildlife officer, Donnelly will have statewide jurisdiction to enforce wildlife regulations, investigate allegations of waterway pollution, protect state property, and make arrests. He will also conduct educational programs, perform fish and wildlife management duties, and advise landowners on dealing with wildlife. Wildlife officers serve an important role as a point of contact with law enforcement and other agencies on topics of mutual interest, providing assistance and expertise. Donnelly is a 2010 graduate of Alexander High School in Athens County. In 2012, he received an Associate degree in Natural Resources Law Enforcement from Hocking College. 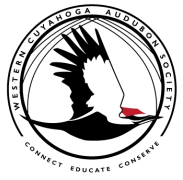 ​Learn more about the Ohio Division of Wildlife here.